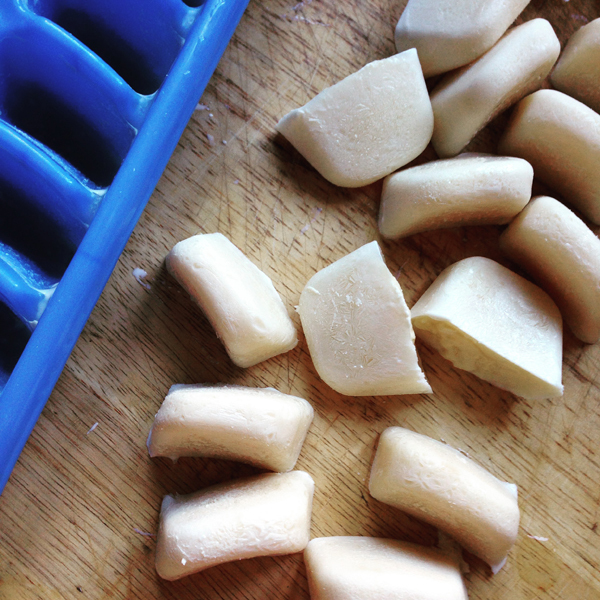 Coffee ice cubes are such a OF COURSE kind of idea. Saving iced coffees from becoming watered down all summer long. 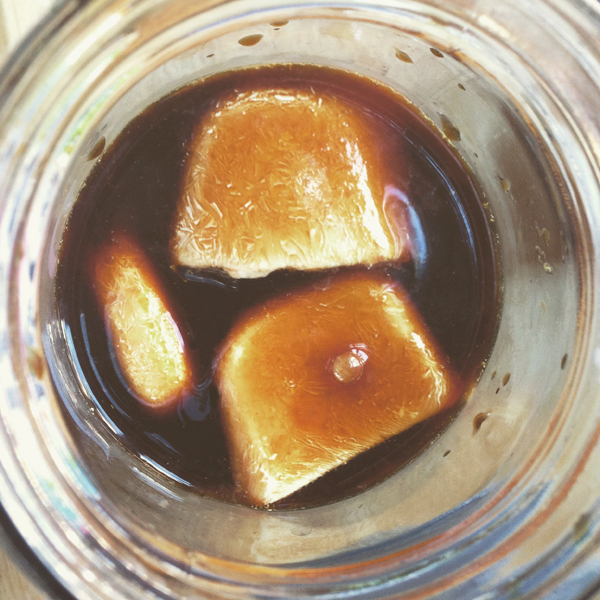 I was thinking about coffee ice cubes when I had a brainstorm. 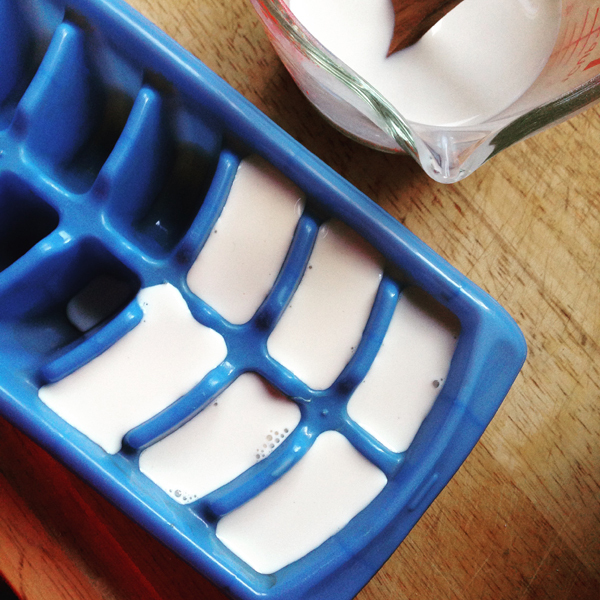 Why not milk ice cubes! They would keep your coffee cold and add cream to it as they melted. I thought it was such a good idea. I exclaimed to Aaron - "Why hasn't anyone else doen this yet?!" He kinda snickered... "Oh I don't know... frozen... ice... cream. Ice cream. Never heard of that before." No, no. Not the same thing. I decided to make a batch using half and half and even some vanilla for flavoring. They looked nice when I popped them out of the ice cube tray. But they were just okay. There seemed to be little bits of curdle come off of them. And I had to wait for them to melt, because I certainly am not going to drink straight up coffee. It wasn't a raging success, but I'm not giving up yet. They would be good I bet if you blended it all together like a coffee smoothie.